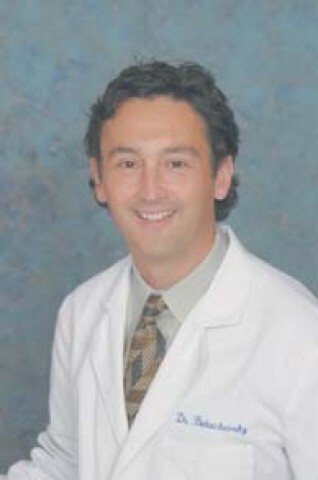 Dr. Roman Bukachevsky has practiced plastic surgery in San Luis Obispo since 1991, and for about a decade heâ€™s been volunteering his time and expertise with Face-to-Face, a national program that started in 1994 in cooperation with the American Academy of Facial and Plastic Reconstructive Surgeons and the National Coalition Against Domestic Violence. Face-to-Face helps victims of domestic violence by offering them free consultations and treatment for trauma and disfigurement to the face. The goal of the program is to get both men and women back on the right track, by leaving them as few reminders of their physical ordeal as possible. FACE TO FACE: Dr. Roman Bukachevsky volunteers his time and expertise as a plastic surgeon to help victims of domestic abuse. #Bukachevskyâ€™s assistant, Anne Yarema, describes the doctorâ€™s participation in the Face-to-Face program as â€œa way of giving back to the community with the talents he has.â€? The doctor has also donated generously to the Womenâ€™s Shelter of San Luis Obispo. Over the years, Dr. Bukachevsky has consulted several victims of domestic violence and treated just a few. Of course, the hope is that domestic abuse is simply not a common problem in our area, but Bukachevsky would like more people to know that this program is available. The national statistics on domestic abuse are astounding. In the United States, a woman is beaten every nine seconds by an intimate or former partner, and more than a million women require medical attention each year as a result. For more info, contact Dr. Bukachevskyâ€™s office at 434-5960. Staff Writer Jeff Hornaday donated his precious time to compile this weekâ€™s Strokes & Plugs. E-mail him at jhornaday@newtimesslo.com.